The magnificent floral aromas of Blue Lotus, Marigold and Royal Poinciana infused with a mild note of Oudh and Sandalwood oils craft this marvelous fragrance of “Oudh Masti”. This is a symbol of good times and precious moments in life. Indulge yourself in this exotic fragrance with joy. There must be a reason why “Jasminum Sambac” is the national flower of two countries Philippines and Indonesia. Symbolizing purity and sacredness Oudh Sampa perfume is the magical blend of “Jasminum Sambac” and “Sandalwood oil”. This tranquilizing fragrance is sure to turn the heads around where ever you wear it. 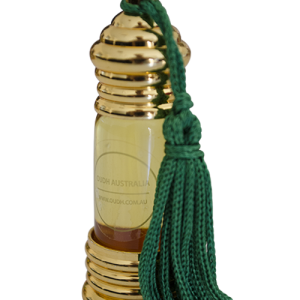 Agarwood perfume - this magnetic woody fusion of agarwood and sandalwood oil is sure to add a charm to your personality and hypnotize your sense of smell. This serene Oudh agarwood fragrance will help you feel good about yourself. The calming and soothing effects may also help in reducing stress and anxiety. This enchanting woody Oudh musk perfume is filled with organic musky aromas of sandalwood oil, agarwood oil, rose, organic musk, and a delicate note of roasted earth soil. The magnificent aromas provide a calming and pleasant effect to the mind and may help in reducing stress and anxiety. Indulgent reminiscent of saffron, essence of vetiver and honeysuckle with an Oudh base creates this mind-boggling Oudh fragrance. Wear this startling aroma with pride to leave a serene effect on yourself and those around you. 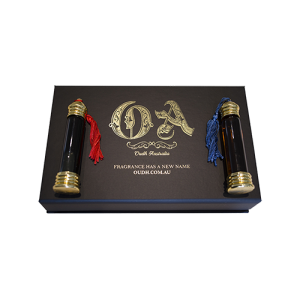 Natural Oudh Perfume brings you a special gift of 5 handcrafted perfumes with the magnificent fusion of Oudh with some of mother nature’s best organic fragrances, such as saffron, sandalwood, and Jasminum sambac oil. Natural Oudh Perfume is 100 percent organic; it is a true gift from nature. These 5 unique fragrances are for both males and females so that you can wear a new fragrance every day. Spoil yourself and indulge in the fabulous aroma with our twin pack. Choose any of the two magical fragrances. Use both for yourself or gift one to your partner, family member or a friend. You can't go wrong with this value pack. Buy 2 for $49.